Start dowsing fires before the fire department arrives. Even if the fire department is just minutes from your business, a fire can spread with startling speed. An approved, well-maintained sprinkler system can help slow down a fire’s progress until emergency personnel arrive. Fire Solutions NW trained and licensed technicians install, test and maintain your sprinkler system to comply with NFPA standards, as well as federal, state and local codes specific to your business. Get the drop on fires before they can put you out of business. Contact us and a Fire Solutions NW representative will do a no-obligation assessment of your facility and recommend the most effective sprinkler system for your facility. 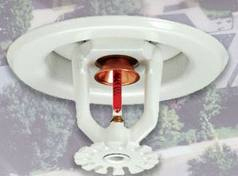 Even if your sprinkler system was not installed by Fire Solutions NW, we can offer a maintenance program for you.